Hi friends! I hope you're having a great day! We are doing ok. In a bit, I'm going to pick up Brady and his new friend from Kindergarten from school for a playdate and he's even staying for dinner. I'm excited to have Brady off making friends on his own and this kid is SO sweet! I hope they have a good time. Have you guys seen this? 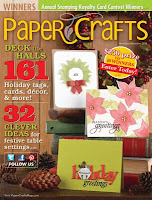 It's the Nov/Dec issue of Paper Crafts Magazine. You can pick up your copy HERE. 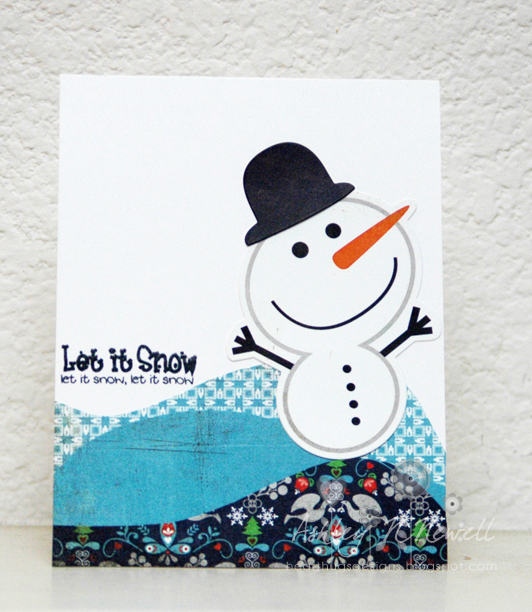 Today, I wanted to share a card that I have published in the above magazine. 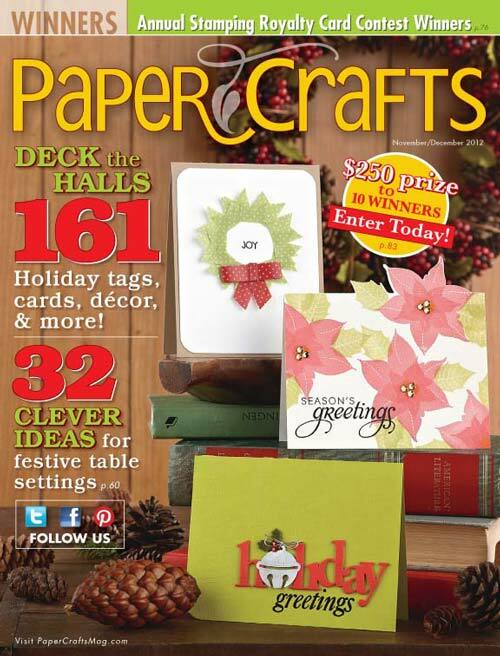 For a supply list and instructions, please check out the magazine! Super cute card! I so need to go pick up a copy of this issue!